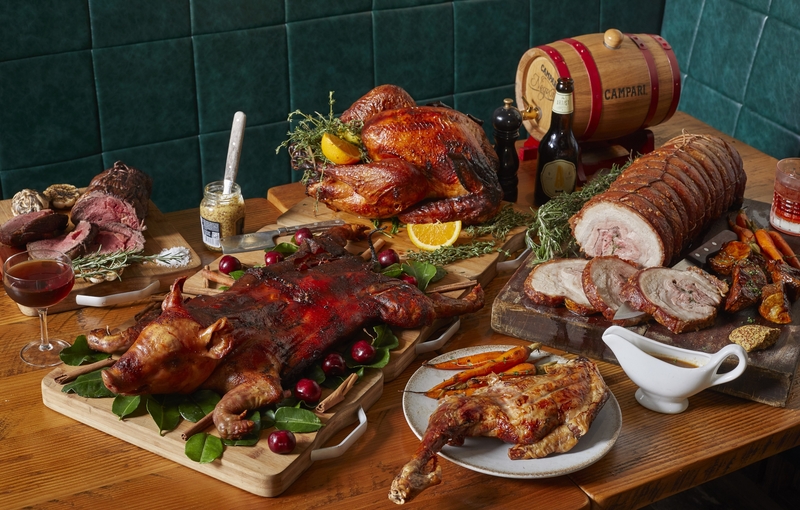 Meat is the centrepiece of any traditional Christmas meal and no one does it better than Blue Butcher. 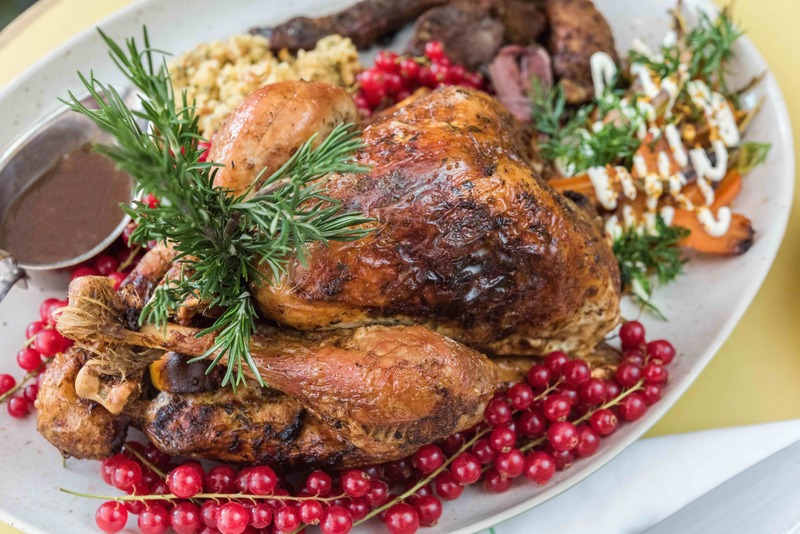 Tuck into a six-course menu with a free-range Hunter Valley turkey as the star, paired with homemade gravy and cranberry sauce. 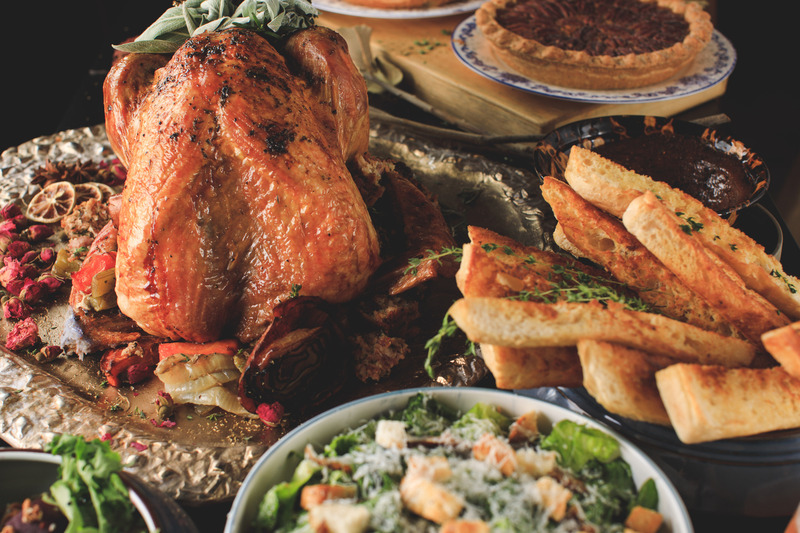 Expect Blue’s signature cornbread and turkey sage stuffing. Just remember to leave room for the homemade buttery toffee pumpkin pie. Make sure to order your turkey 48 hours in advance. Until Dec 25. $625, four people minimum. 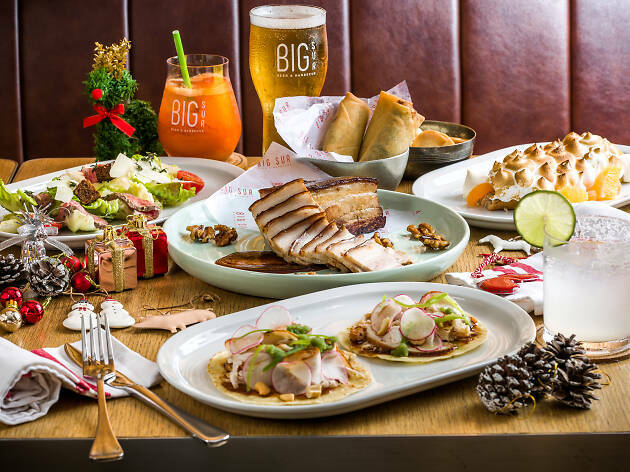 Big Bay Café, the Kerry Hotel’s restaurant with a neighbourhood vibe, is going all out this Christmas with an impressive buffet. 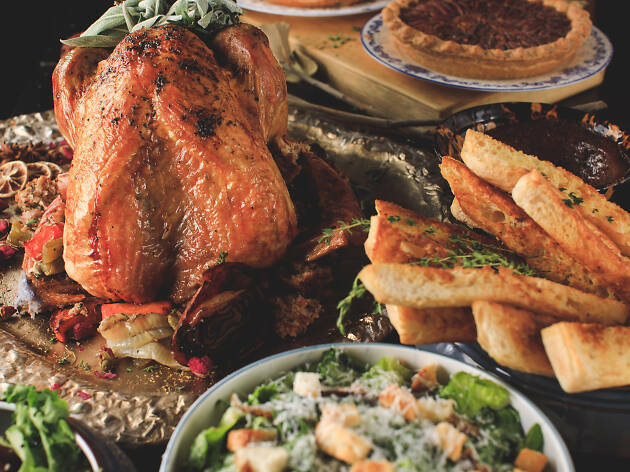 The luxurious spread includes a traditional rotisserie turkey with all the trimmings, freshly baked salmon wellington, and tons of other new additions as it gets closer to Christmas day. 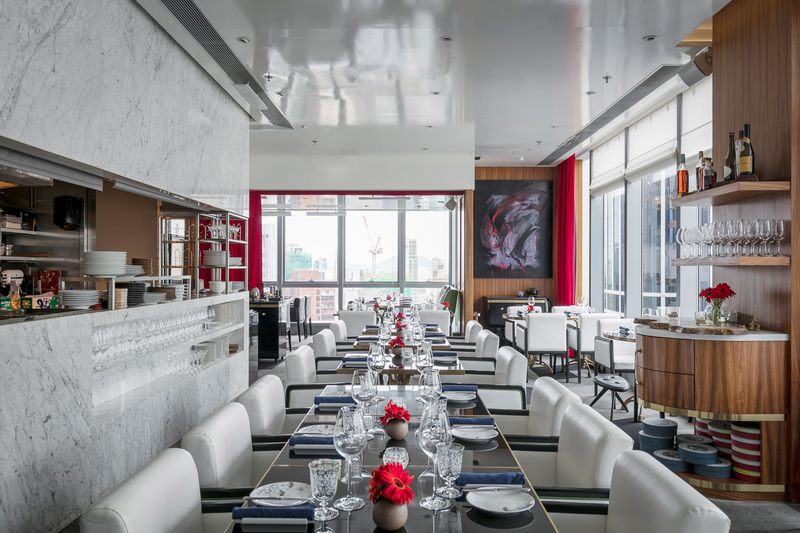 Accompanied by unobstructed harbour views and a slew of sweet festive treats, it’ll be a feast for your eyes and stomach. From $398, until Dec 25. 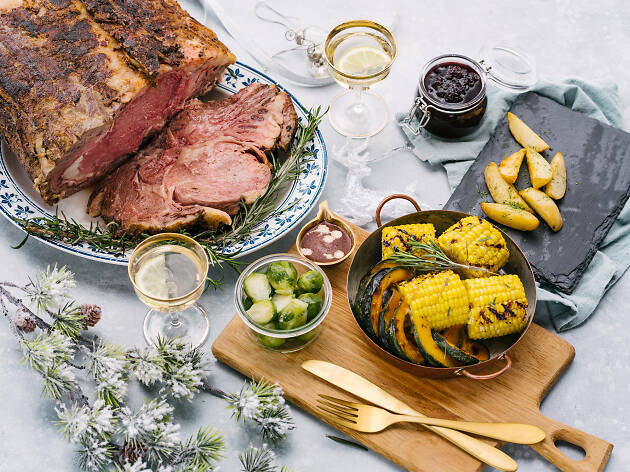 Claiming to offer ‘contemporary barbecue cuisine prepared in the classic Cali style’, Big Sur is celebrating Christmas with a convivial summer vibe. 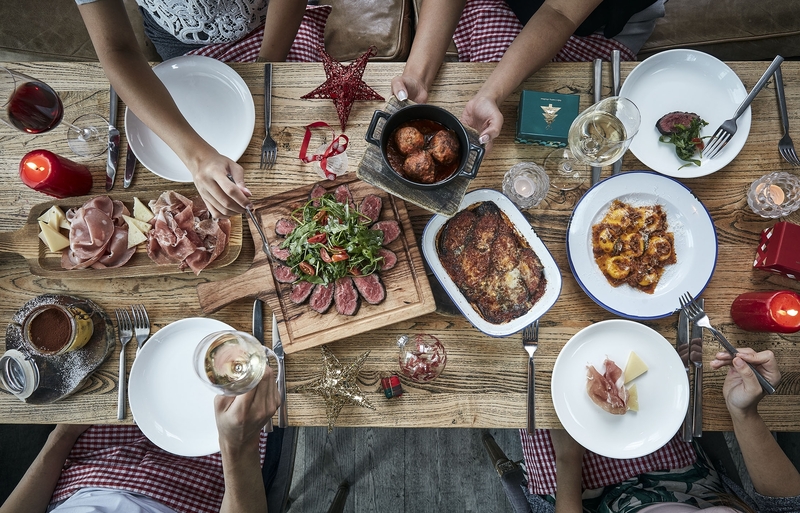 In the lead up to the big day, its family-style Asian American Christmas menu comes with DIY roast pork fajitas and beef brisket caesar salad, and prawn and jalapeño spring rolls, with meringue bombe as a sweet finish. 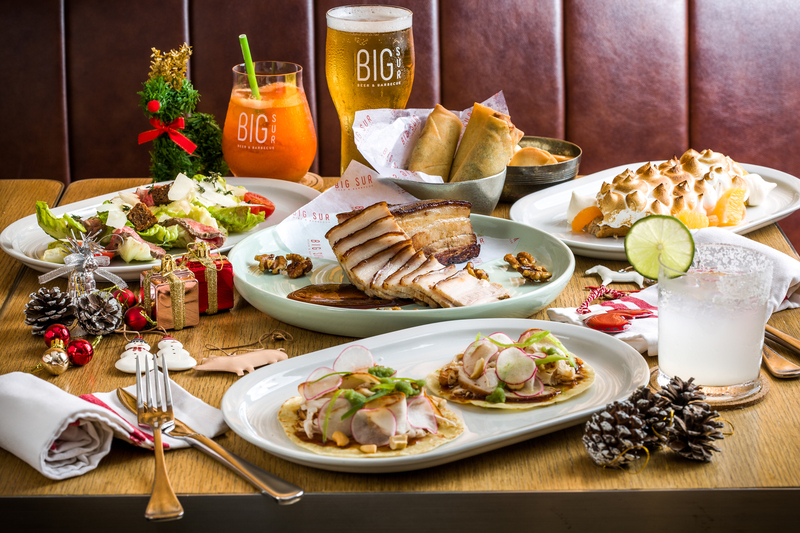 For Yuletide dinners on December 24 and 25, Big Sur is offering smoked turkey tacos and roast pork belly served with warm yuzu and potato salad. Try to grab a seat outdoors to experience to full Cali-vibe. $298-$388. Until Dec 25. 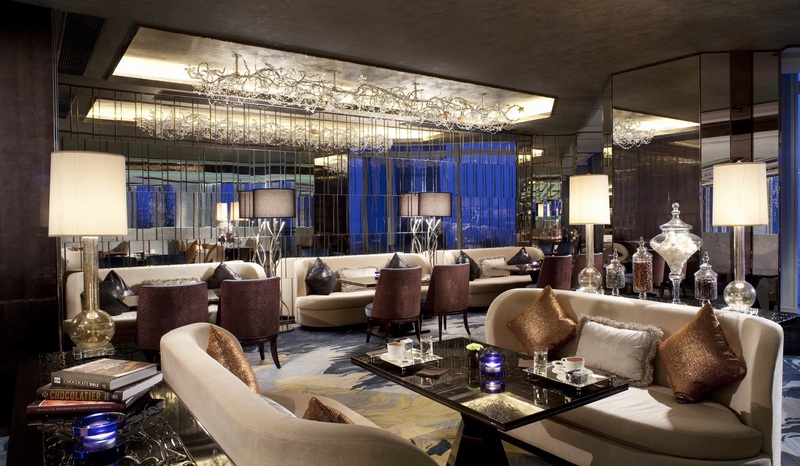 If you just can’t decide what to eat, the Ritz-Carlton’s fancy pants Café 103 has a seemingly endless buffet you can get stuck into. Whether you want salads made with rare herbs or a ridiculous range of seafood on ice or French lobster soup, it’s all here. There are also separate hot sections for Chinese and western goodies, so you can pair your beef wellington with black garlic and pork fried rice, should you wish. Same story with the desserts. Basically, if you can imagine it, it’s there: ice cream station, check. Gingerbread cookies, check. Blueberry cheesecake, check. You get the idea. Plus free-flow cava, white and red wine. $478. Dec 16, 23-24. 12pm-2.30pm. 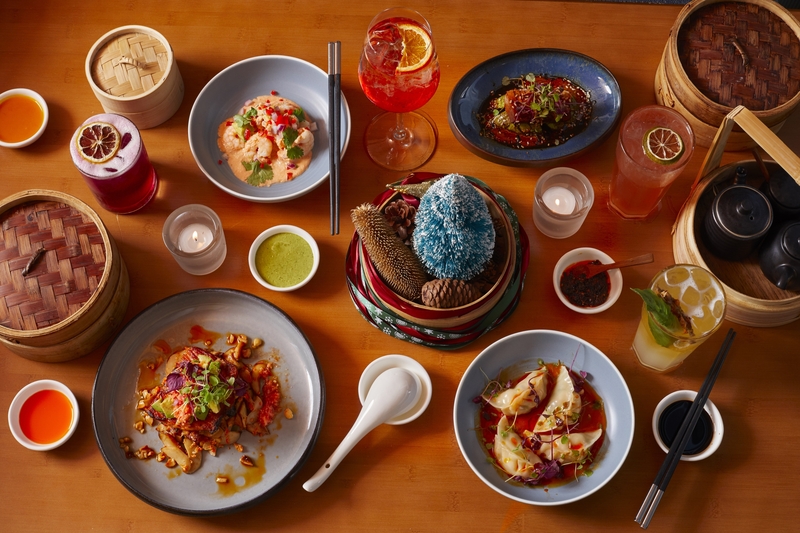 Celebrate noel with a Peruvian and Chinese twist courtesy of Chifa’s four-course tasting menu this Christmas Eve and Day. 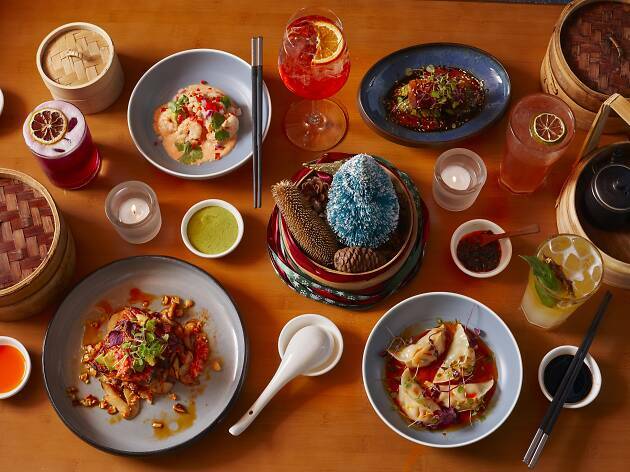 Designed to be shared with a bunch of people, the menu features a selection of ‘tapas’ like silken tofu and dumplings, and mains such as baked salmon and lamb rack. No festive meal is complete without desserts and Chifa is treating diners to a taste of arroz con leche, a famous Mexican rice pudding. $380-$480. Dec 24-25, 6pm-8pm or 9pm-12am. 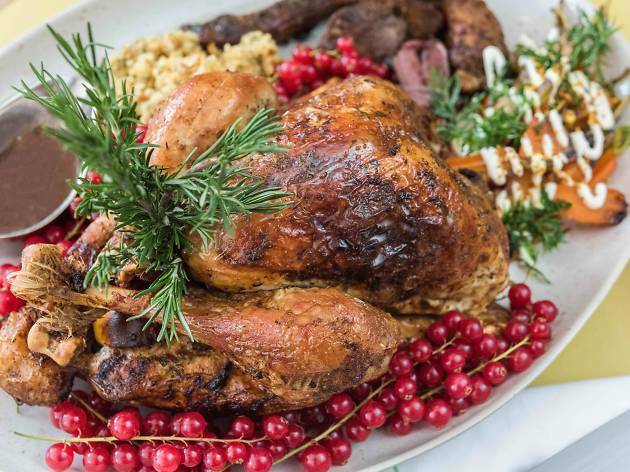 SoCal eatery Commissary is serving up a buffet-style Christmas Eve feast with more than 20 dishes that you can stuff yourself full of before the big day. 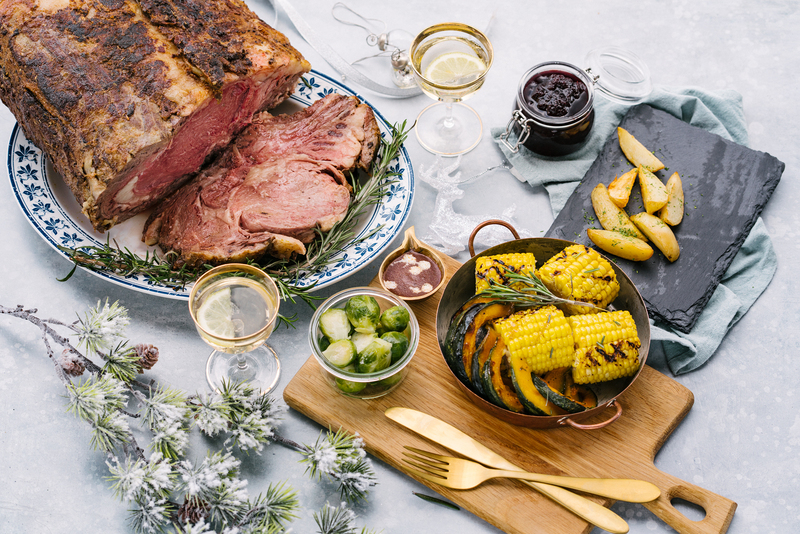 There are West Coast touches among traditional favourites like slow-smoked pork shoulder and baked yams with maple and chilli butter. 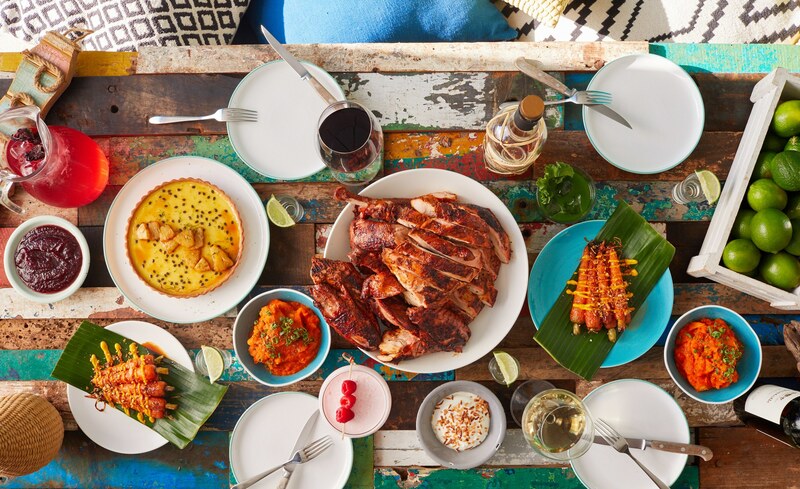 For a more casual dinner on the 25th, dine on an indulgent sharing menu with 10 delicious dishes including shrimp and grits, roast turkey with the trimmings and build-your-own pulled barbecue pork and soft shell crab tacos. $400-$450. Dec 24-25, 6pm-8pm and 8.30pm-10.30pm. 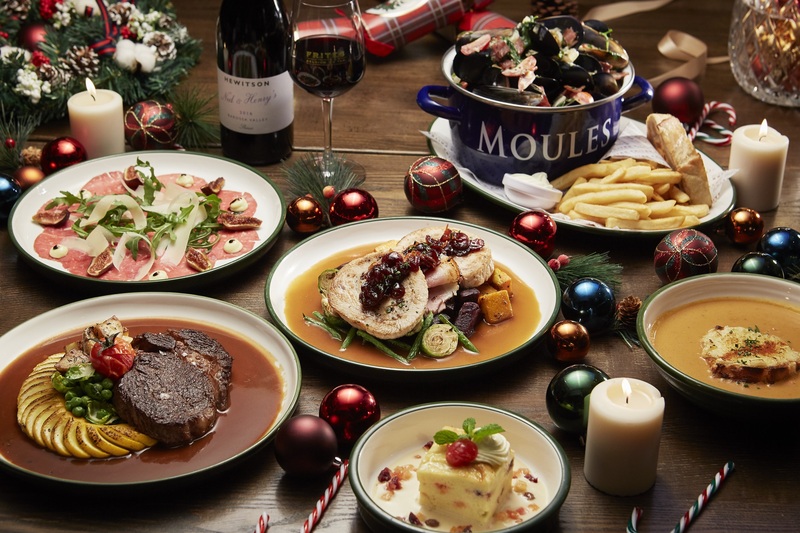 Belgian beer bar and restaurant Frites is serving up an express Christmas lunch menu in the lead up to Santa’s arrival. 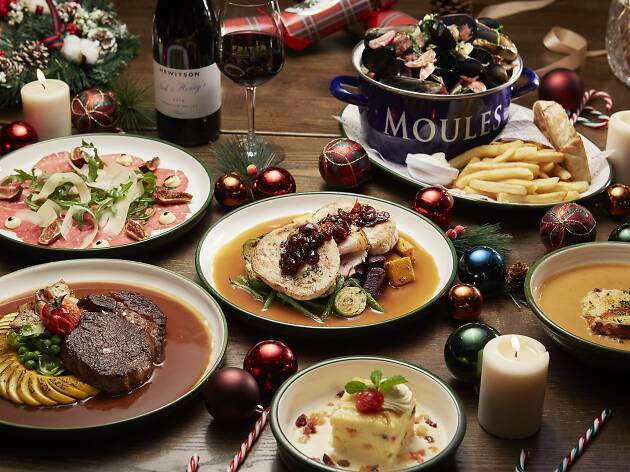 On Christmas Day itself, there’s a three-course menu starting with a choice of beef carpaccio or lobster bisque, followed by ale-steamed mussels, turkey ballotine or black angus roast beef and finishing with a Christmassy brioche pudding. 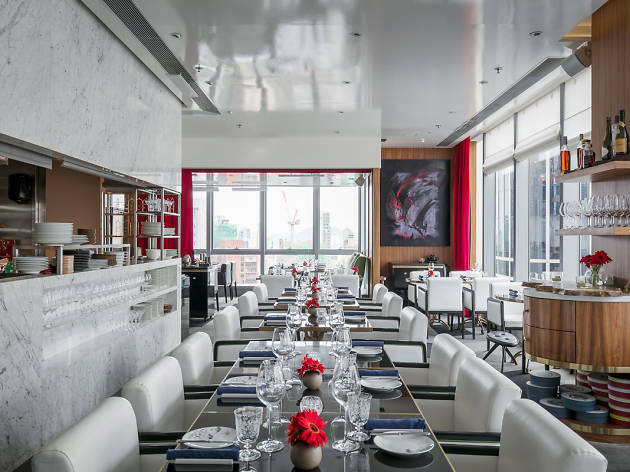 Two hours of unlimited prosecco, draught beers, house wine, house spirits, soft drinks and juices ought to keep you merry for an additional $250 per person. There’s a bonus for families with kids, who receive a gift and candies from Santa. $495. Dec 24 (from 6pm)-25 (all-day). 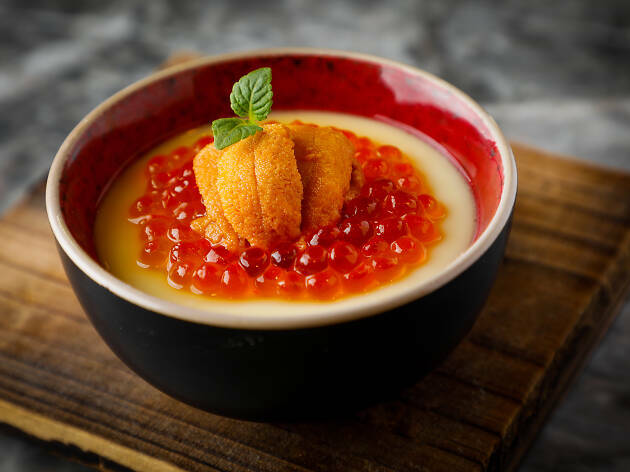 Hongkongers love a good seafood spread and you can dive into a decadent array of international specialities served from the Hyatt Regency Café show kitchens. 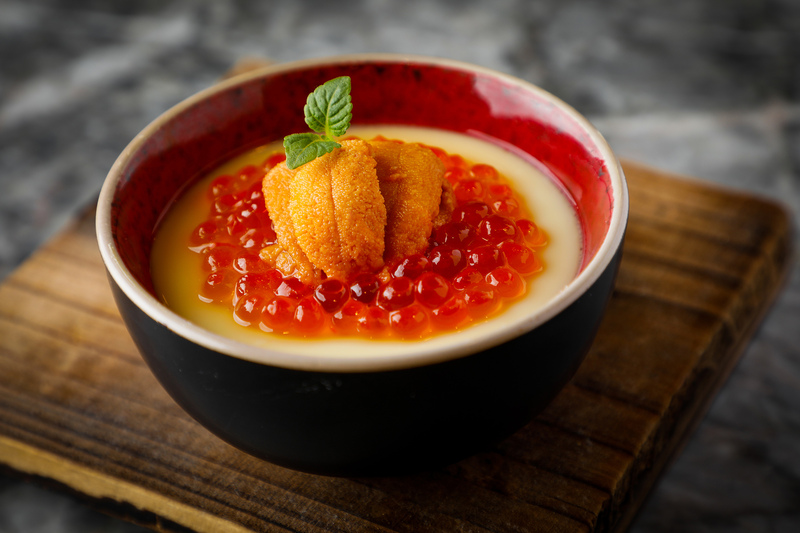 We’re talking fresh uni and salmon roe Japanese egg custard, baked lobster with pan-fried foie gras, braised abalone, and of course, whole roasted turkey with traditional stuffing and giblet sauce. The chefs there are also putting on a show as they flambé the molten chocolate lava cake. $448-$715. Dec 24-25. 5.30pm-7.45pm or 8.15pm-10.30pm. Meaty sandwich specialist Bread and Beast has a new evening concept called Kong, and it’s pushing out the boat for its special Yuletide menu. 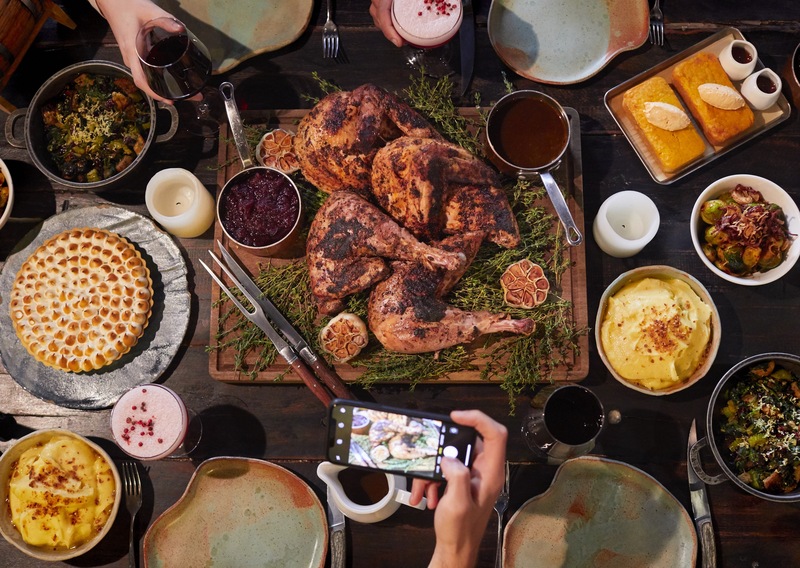 You’re going to need at least one friend to help tackle dishes like the truffle scallion flatbread and black garlic aioli sourdough, black pepper short ribs, shelter crab cheesy cheung fun and of course, the star, a 24-hour slow-cooked turkey marinated with salted lemon butter and fresh herbs. End the carb-tastic feast with a serving of apple pie and your choice of eggnog or mulled wine. $988 for two. Dec 17-31. 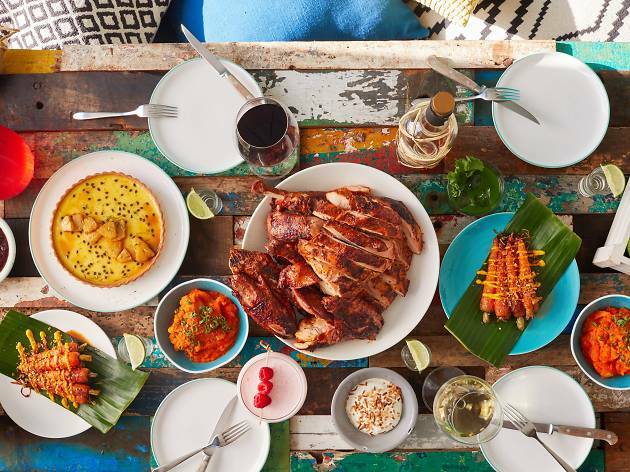 Repulse Bay’s barbecue seafood restaurant adds some beach vibes to the festive season by giving the traditional Christmas dinner a few Southeast Asian and Caribbean tweaks. 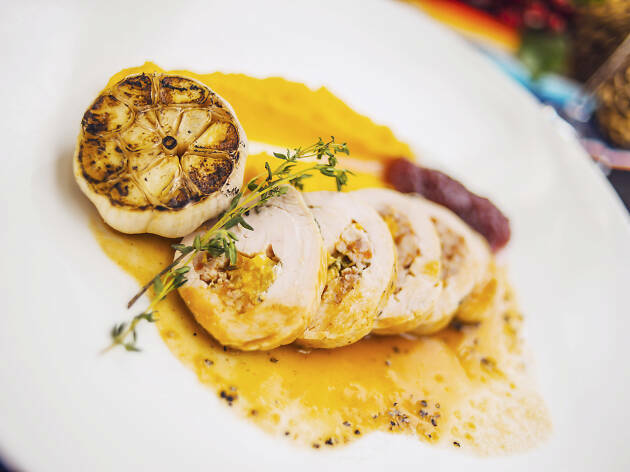 The pièce de résistance is the roast turkey smothered in an achiote marinade served with fried potatoes seasoned with coriander and lime aioli. 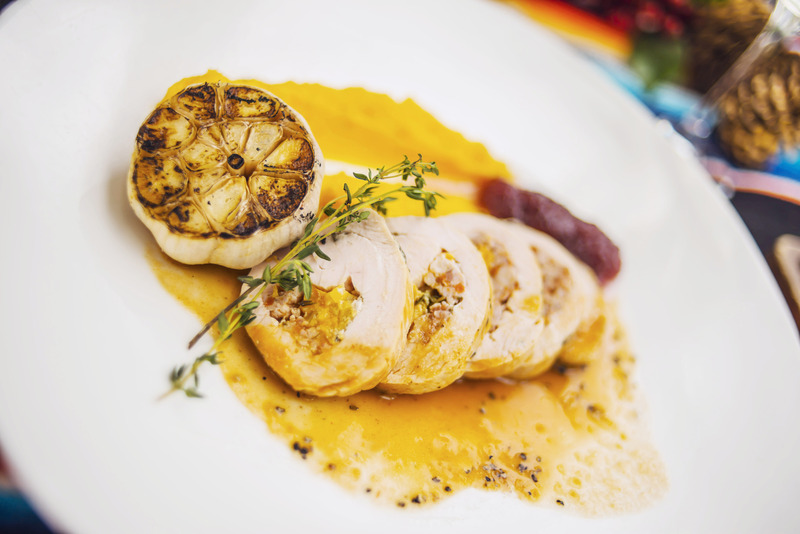 The six-course menu also comes with Limewood’s speciality cornbread and turkey sage stuffing. For pudding, there’s the ever-so-festive sweet potato rum pie, topped with cinnamon rum ice cream. $625. Until Dec 25. Meat, glorious meat! 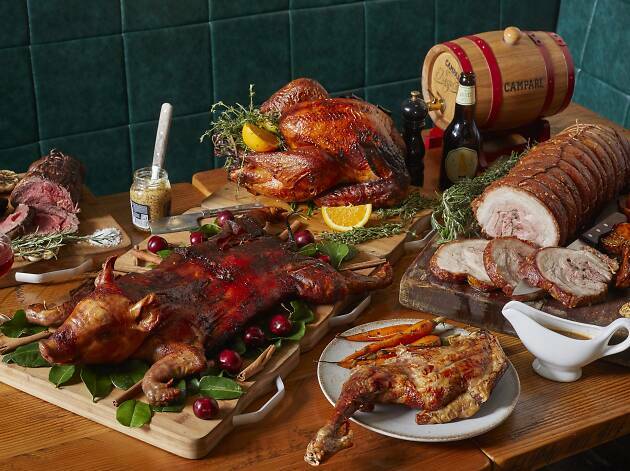 Soho meat specialist Meats is putting on a Christmas feast like no other. Kick things off in the tasting menu are small plates featuring its signature chicken liver pâté and octopus with bagna cauda, before moving on to large sharing plates of suckling pig, roast turkey, roasted rib eye and potatoes cooked in chicken juices with garlic and thyme. 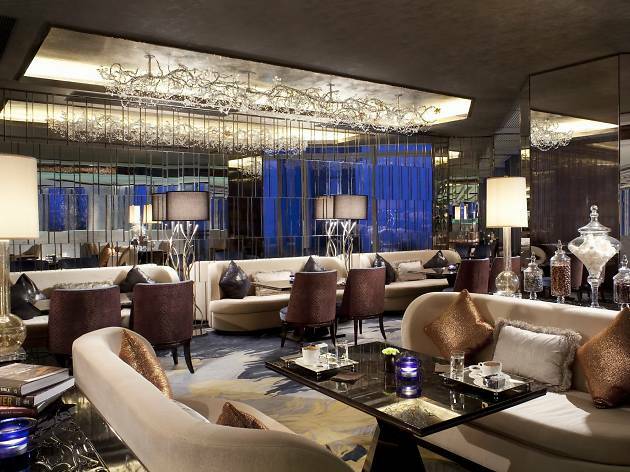 If your pants are not bursting yet, there’s chocolate fondant served with caramel ice cream and popcorn for dessert. $480. Dec 24-25, 5pm-11pm. 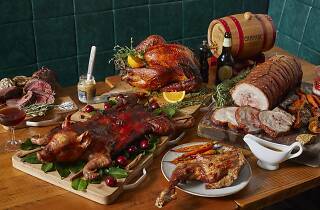 If you’ve got a big family, look no further than Pirata to get stuffed like a Christmas turkey. 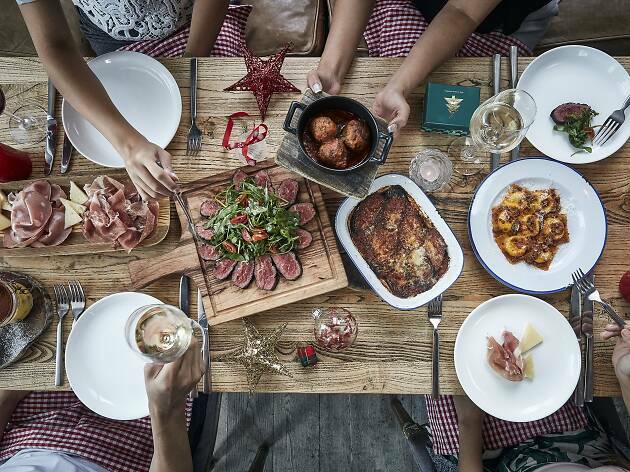 Expect generous plates and servings of Italian food from its five-course tasting menu, which features customer faves like meatballs and eggplant parmigiana. The pastas here are clear winners, so load up on carbs with the liquid parmesan ravioloni. Look forward to homemade tiramisu and panna cotta to round off the evening. $480-$580. Dec 24-25, 6pm-7pm or 8.30pm-late. 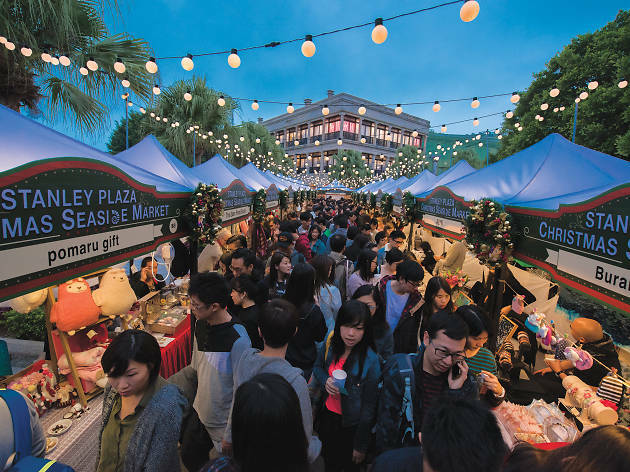 It’s beginning to look like Christmas in Hong Kong. There are tons of brilliant events happening this month and you can plan it all here with our guide.